Find the experience that is perfect for you and your family! Come learn and/or improve your child's archery skills while having fun. Instructors present. No adult﻿ shooters. Price includes bow. You can bring your own bow. If you are new to the sport it is critical to arrive ON TIME to get your lesson! We invite all first time students to come to the 9:00 AM class despite age, then continue to participate in the league with their age group. No new students will be taught past 10 after-the-hour. 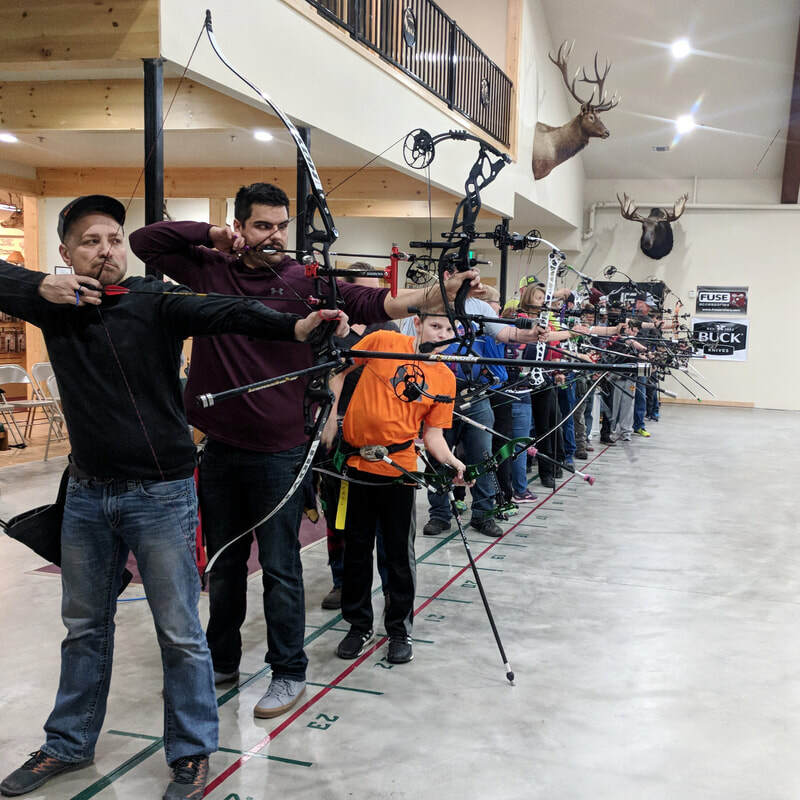 If you are looking for an alternative to the Youth League because we aren't hosting a league or an adult wants to shoot with a kiddo, consider our bow rental-and shoot anytime the range is open! Maximum of 24 shooters. First come, first serve. This league incorporates practice for hunters and fun for others. 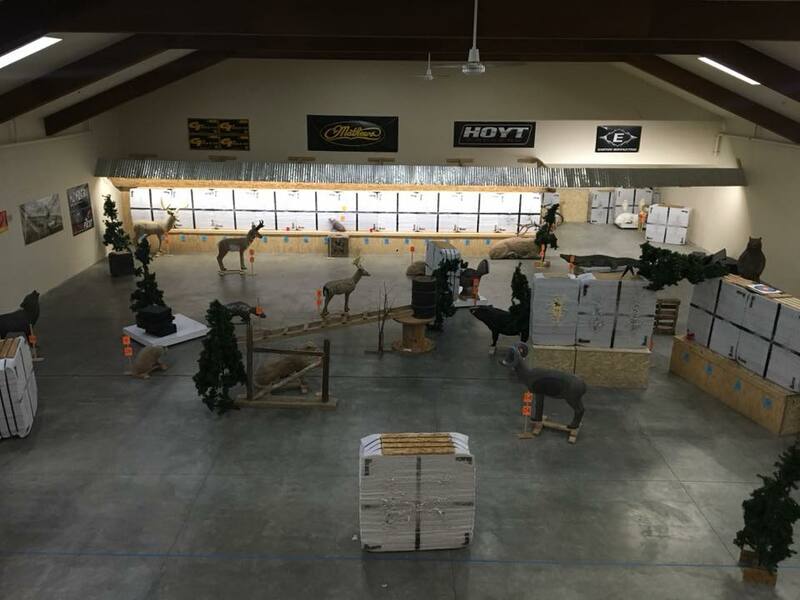 By utilizing foam targets that have a score system on the animals' vitals, hunters can practice shot placement, yardage estimates, and obstacle avoidance. For those looking to have fun we have a large variety of animals that make your experience very exciting! There is 30 different shots a night - 6 of which from the balcony - that require 1 shot per target, varying from 5-30 yards. On a drop-in basis and we do not require you to participate in all sessions. 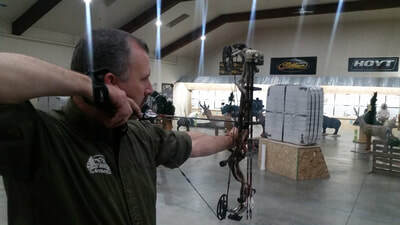 No bow rentals available for this league. Payback through RMA gift card applies. This league requires focus and practice while shooting NFAA Blue Face 5 Spot and Single Spot targets at 20 yards. 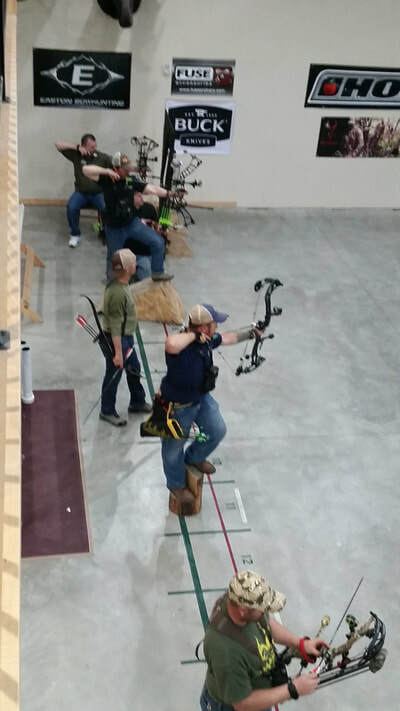 Shooting 12 rounds of 5 arrows for a total of 60 arrows, archers can learn a lot about their ability to perform under pressure with their archery peers. 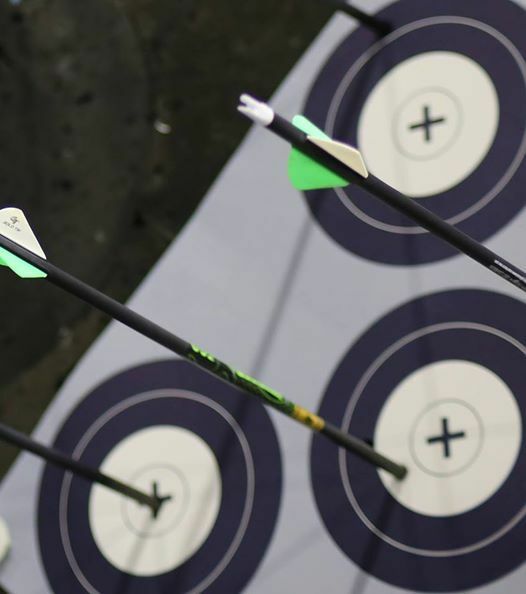 A NFAA 300 round will test an archers' abilities to shoot consistently over a lot of arrows. 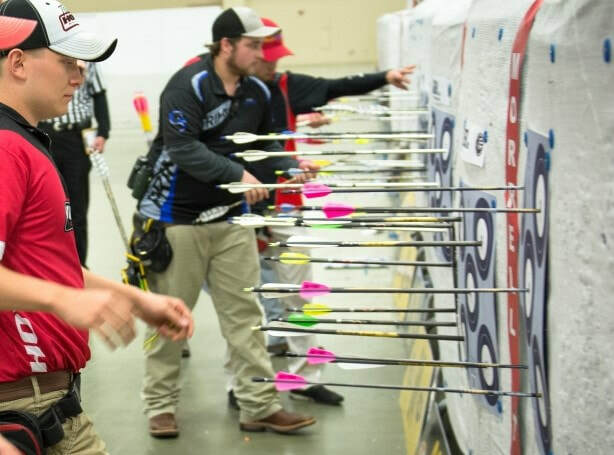 This is a great practice for JOAD archers and other target archers looking to up their tournament game! 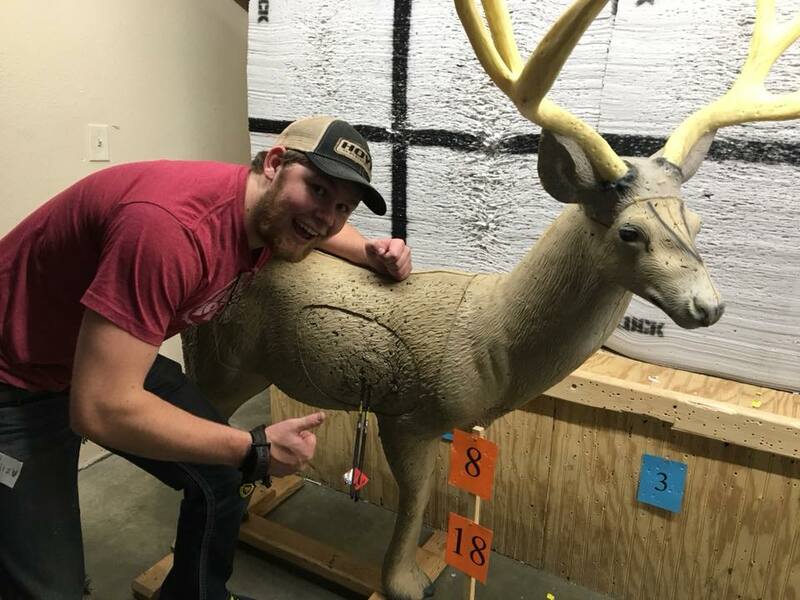 Both experienced and new shooters are welcome. On a drop-in basis and we do not require you to participate in all sessions. No experience, no worries! 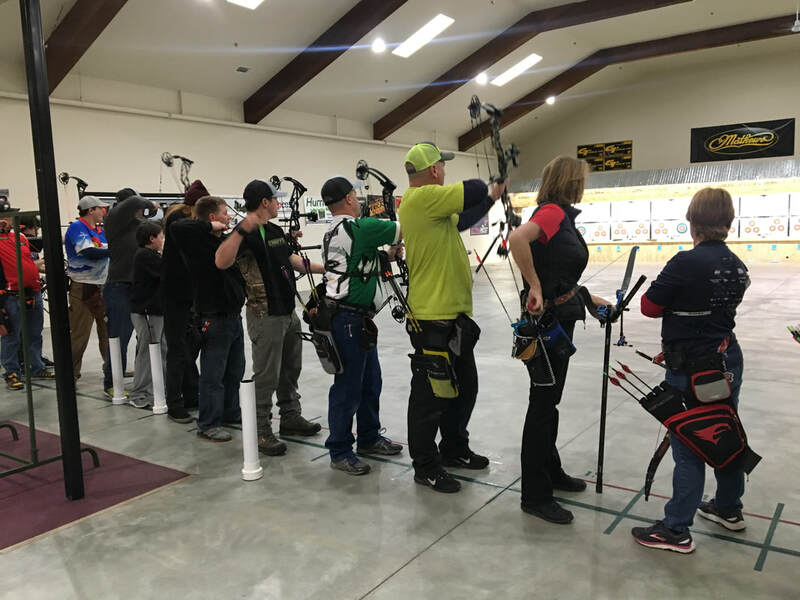 Private lessons are an awesome opportunity for archers that are new to the sport and looking to take it further. Private lessons are a great idea for experienced archers looking to tune up their form to the best of their abilities. Contact Us to Schedule Your Lesson. Typically 2-3 weeks scheduled out. Not On A Drop-In Basis. Not what you're looking for? All eager shooters with no experience are more than welcome to come in and rent recurve bows to get started in the sport! $10 a head with a minimum of 5 participants. One hour long. We can prorate for longer shooting times. Activities will be on a per event basis but focused exclusively to promote fun and instill the techniques from earlier in the event. Rooms are available upstairs for present opening, cake eating, meetings- whatever fits your needs- for $35 an hour. Paper work and $50 deposit must be made at our location at least a week in advance, if not made the reservation is not a complete transaction. information. If you wish to book an event you MUST call or come in. Not on a Drop-In-Basis. Rocky Mountain Archery is proud to be the home shop for the Hot Shots JOAD team for young athletes, up to 20 years old, that are seeking a more challenging and competitive shooting opportunity. Come on in for any further questions.